This Easy Chocolate Peanut Butter Fudge is a delicious and easy dessert you will want to make again and again. 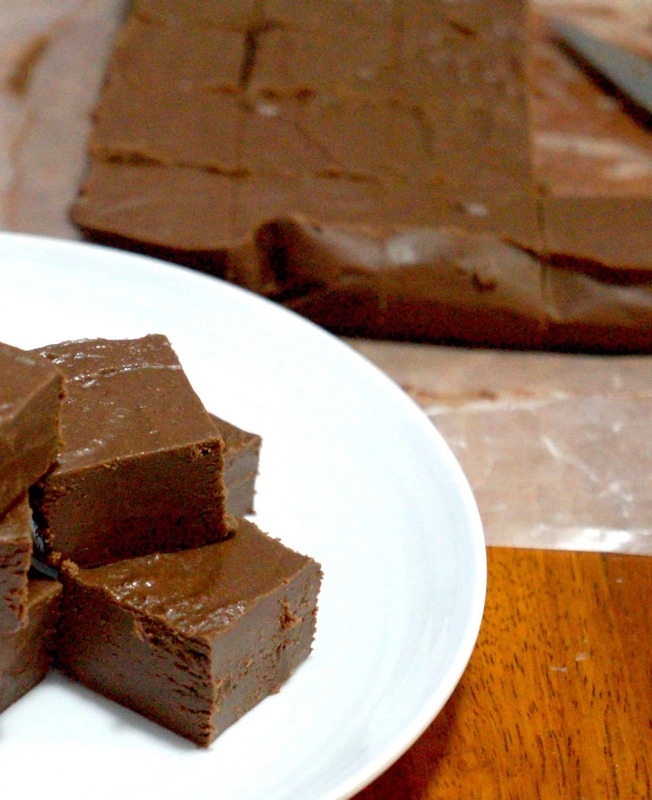 This simple chocolate fudge is made in the microwave with using only 3 ingredients. When I think of fudge I think of a boiling pot on the stove and the constant monitoring of a candy thermometer. Traditional fudge is delicious but time consuming. I love fudge but I don’t always have the time to make it the old fashioned way. This recipe is the easiest dessert you will ever make. It only takes five minutes to prepare and then an hour to set. There are so many different flavour options for fudge and this time I decided to go with chocolate peanut butter. You can never go wrong with a chocolate and peanut butter dessert! Just dump a can of cream cheese frosting, some semi-sweet chocolate chips and peanut butter in a bowl and microwave until melted. Then just stir it, pour it into a pan lined with wax paper and refrigerate until set. Once the fudge is set just pop it right out of the pan using the wax paper and cut into pieces. It is much easier to cut this way than in the pan. The fudge is rich and the flavours of the chocolate and peanut butter are nicely balanced. Neither one is overpowering. This decadent dessert is perfect for any occasion. This fudge is the perfect way to to satisfy your chocolate and peanut butter cravings without spending a ton of time in the kitchen. Try this Easy Chocolate Peanut Butter Fudge next time you are looking for a super simple dessert. Another easy fudge recipe. 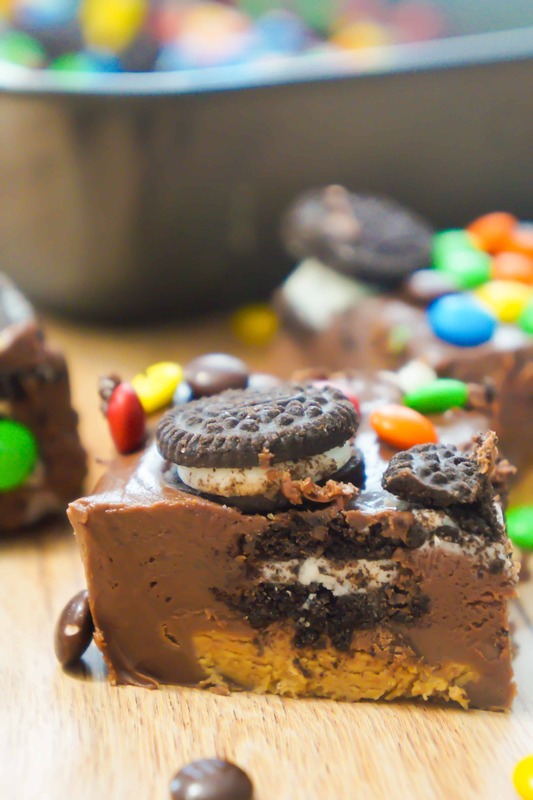 Check out this Peanut Butter Cup Oreo Fudge! 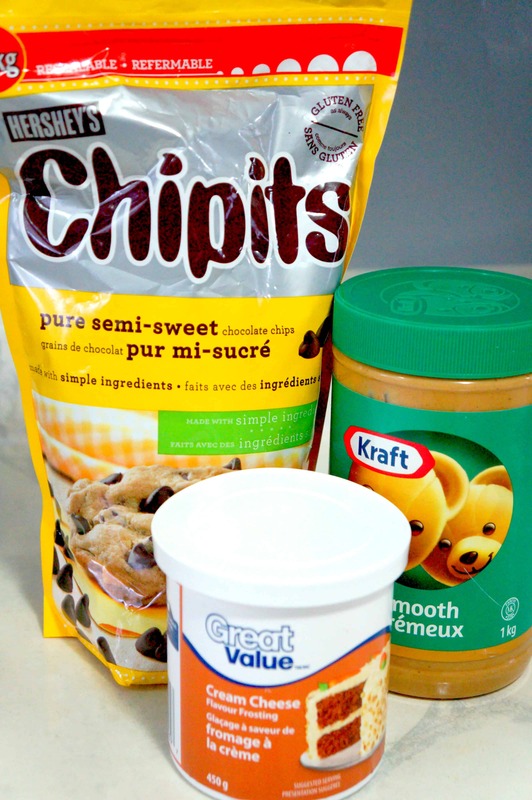 If you are looking for more chocolate and peanut butter desserts check out Peanut Butter Cookie S’Mores Cups, Peanut Butter Ritz Bits Toffee and Chocolate Peanut Butter Cheesecake Dip. 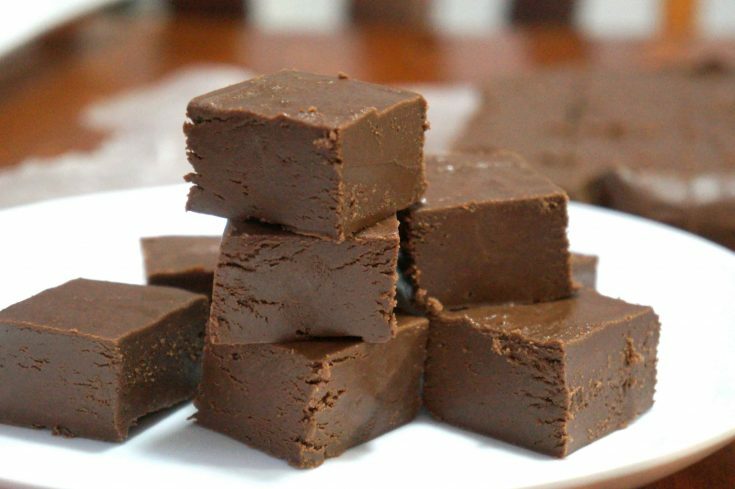 Another delicious microwave fudge recipe. 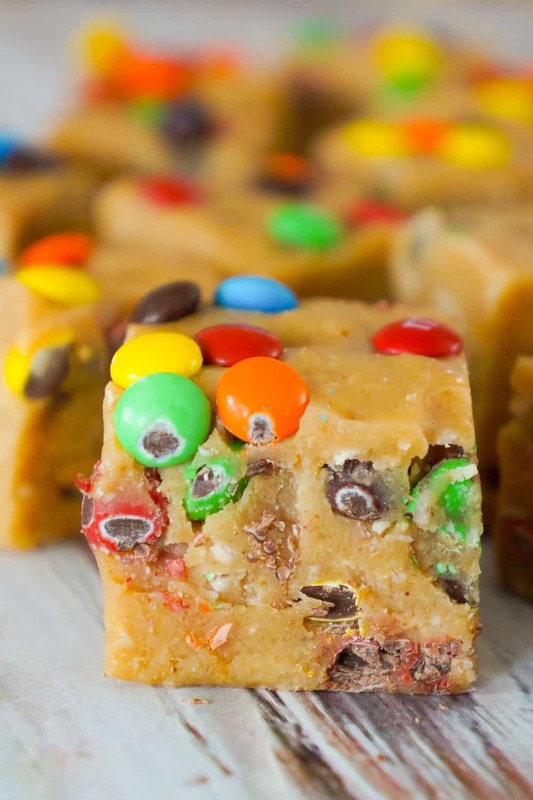 Check out this Monster Cookie Dough Fudge! 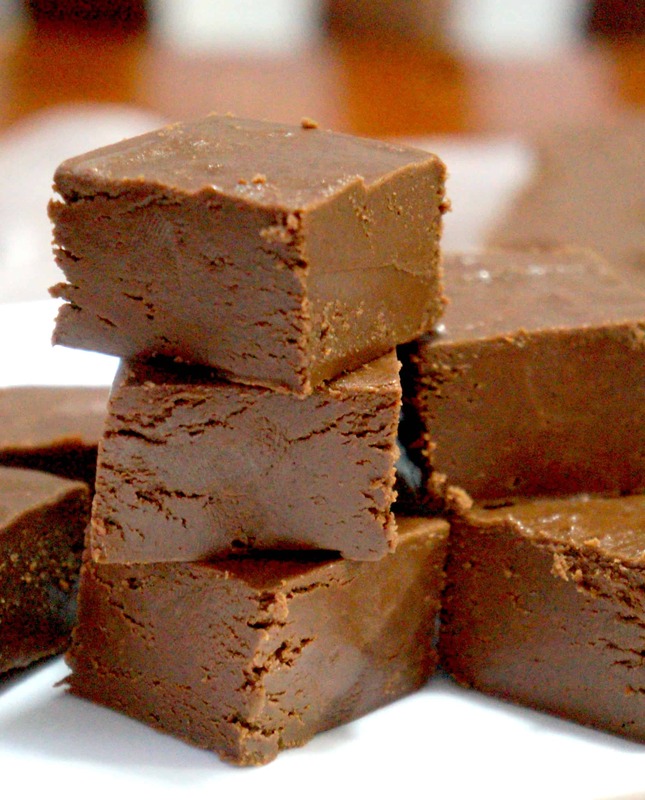 This easy microwave fudge recipe uses only three ingredients. This is the perfect chocolate peanut butter recipe for the holidays. Put all three ingredients in a microwave safe bowl. Microwave on high for 1 minute and stir well. Microwave for another 30 seconds and stir. Repeat until chocolate chips are all melted. Pour into a 9-inch square pan lined with wax paper. Refrigerate for about an hour before cutting.